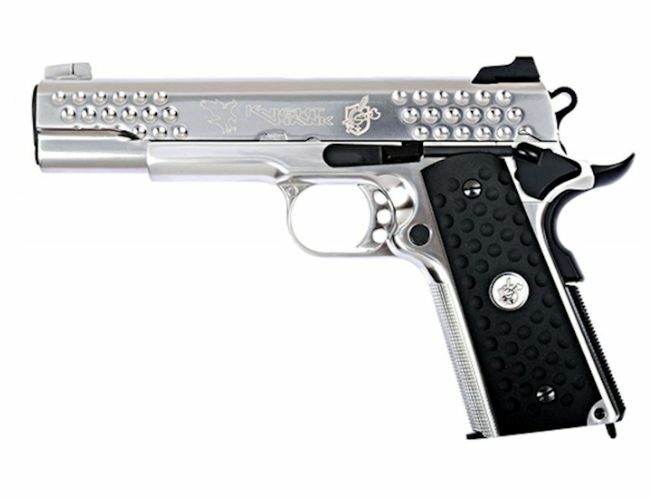 he WE Knight Hawk 1911 .45 and is the same as the standard 1911 model but with a few fancy changes as you can see from the image. It is a Semi automatic with safety mode. The Magazine will hold 15 rounds and will fire at around at 280 FPS with 0.22 g pellet. The Aluminum frame comes with a “Dot- pattern” and is a one piece frame model with the safety on the left of the gun. This is a beautiful gun and comes in at 1025 grams with a length of 222 mm. Metal finish with dot designs. 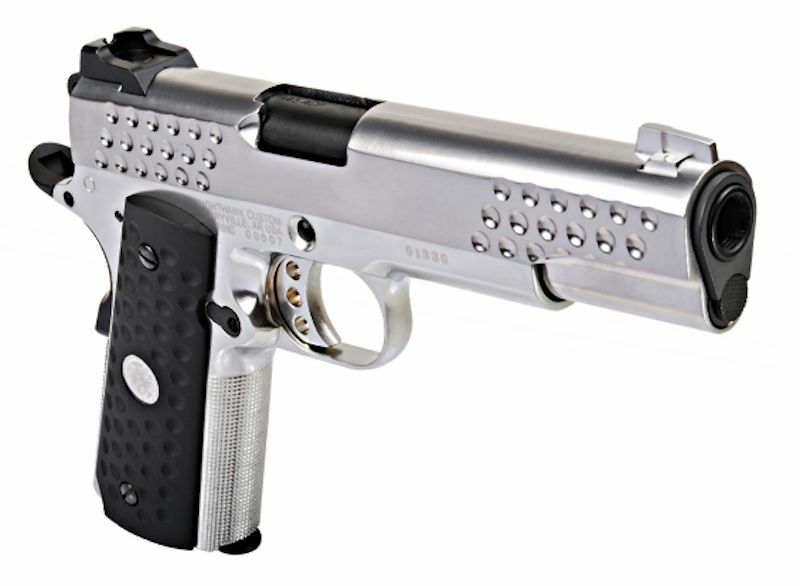 Same spec as the standard 1911 with full metal slide. Gas Blow Back ( GBB) and semi auto mode. Authentic feel with metal sounds like the real steel. Knurled grip with a solid feel and grip. •With the unique WE Gas Blow Back system and Semi-Automatic Shooting.